One question I often face is about what equivalent club a hybrid will replace. There are two misunderstandings: First, the engraved number on the sole. For instance a hybrid with number 3 engraved on it’s sole is the equivalent to a # 3 fairway wood. Second, if the loft is the same on both club heads, then the distance will be the same. Below I will explain that both are misconceptions. Hybrids are a cross bread between woods and irons and cannot be compared ‘apple-to-apple’ to either woods nor irons. Hybrids incorporate some design features of either one of them without being same as a wood or iron. Hybrids started as a rescue or utility club to get a ball out of a difficult lie position but is today more a class of its own. Fairway woods often product a higher trajectory for more carry distance but less roll than the corresponding hybrid or iron, producing the same overall distance. However robot testing showed that hybrid clubs do not produce more distance than irons if hit on the center of the striking face. If you are playing in windy conditions, a hybrid or iron with a controlled trajectory and more roll on the ground will perform better for you. Hybrid clubs are built with shafts with a wider tip diameter (0.370”) compared to woods with 0.335” tip diameter shafts. Shafts with a wider tip diameter are stiffer in the tip section and product a lower trajectory than a fairway wood shaft. Hybrid heads are designed with a heavier weight than fairway woods. Consequently the assembled club length of a hybrid is different from woods and irons producing different swing speeds. The shorter hybrid length produces a slower swing speed than woods. However the shorter club length increases the chance of a center shot and reduces the risk of a mis-hit. Like a fairway wood, hybrids feature a hollow core, shifting weight to the perimeter. The perimeter weighting increases stability at impact and improves forgiveness over the corresponding iron. Hybrids are shining over irons at off-center shots because hybrids are more forgiving than any game improvement iron. That’s why hybrids are so popular today replacing not only hard-to hit long irons but mid and short irons as well. Due to their different size and head profile, the Center of Gravity of a fairway wood, hybrids and irons are also quite different. The launch angle and spin of the ball coming off the face are different even if the lofts are the same. To compare a #3 hybrid with a #3 iron can also be misleading. There is no industry standard what loft a #3 hybrid shall have. Some #3 hybrids have 18º, many 19º, some even 20º loft; the higher loft will produce a longer distance. 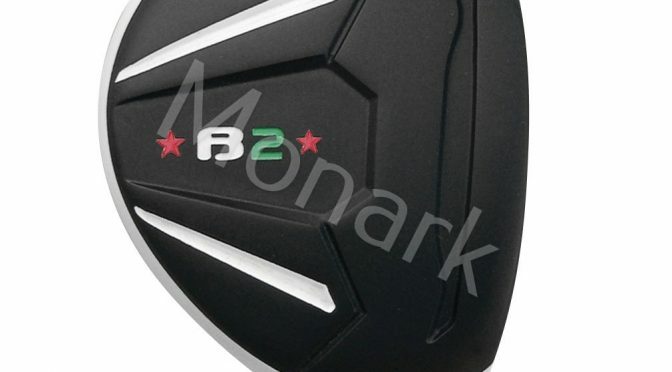 Additionally not all #7 woods have the standard 21º loft but maybe 22º or even 23º loft angle. The higher loft of a fairway wood will produce a shorter distance. That’s why a #7 wood may be overlapping with a #3 hybrid producing a similar distance even if the lofts are not the same. The brief conversion chart below will give you an indicative guideline on which hybrid will replace a certain fairway wood or iron. For instance the chart shows that there is no direct hybrid replacement for a #3 fairway wood. When selecting a new hybrid to replace a certain wood, pay attention to the actual loft, not look at the club number engraved on the sole plate. This will take away some confusion on your next purchase of a hybrid club.